Listed below are the Honor and Merit Award winners from Firelands High School in the first grading period. 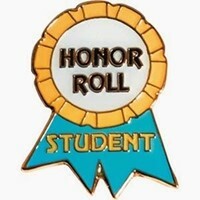 To earn Honor Roll status, a student must achieve a GPA of 3.5 or above during the first grading period. A Merit Roll student must achieve a 3.0 GPA, up to a 3.49 GPA. Students enrolled in College Credit Plus shall use their Semester Grades as a replacement for first and third grading period grades. These GPA Calculations will be based on second and fourth grading period grades, in conjunction with CCP Grades. Students who are not enrolled in the equivalent of five one-credit courses shall be ineligible for Honor/Merit Roll status.